Urban Green Emerging Professionals' biggest party of the year is just around the corner! Join other young professionals in the sustainability community on December 13 for the EP Holiday Party. 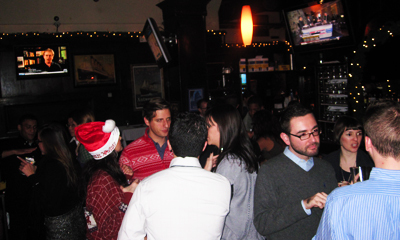 Jingle all the way to Central Bar for festive treats, networking and holiday spirit! Get trained on the latest NYS energy code. This one-day course is tailored toward commercial architects and engineers. 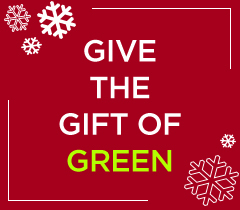 Support urban sustainability this season with a gift to Urban Green. Your gift will help us to continue to transform NYC through our groundbreaking research, industry-spanning education initiatives and collaborative policy work. Any contribution amount is appreciated. 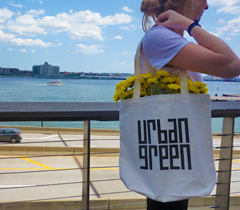 For those who are able to contribute $1,000 or more, we've created the Trust for Urban Green. Learn more here. Help us transform NYC's buildings for a sustainable future! Urban Green is seeking passionate and qualified students to support our Policy, Education, Research, Communications, Development and Programs teams. We are accepting applications through Wednesday, December 20. AIA New York’s annual Procrastinators’ Days help members of the New York design community meet their AIA membership and state licensing requirements before the end of the year. Earn up to 17 HSW AIA CES through educational sessions on a variety of topics ranging from Net Zero deisgn to architectural acoustics. New York City's first community solar project powers the city with affordable and local clean energy. Built on a previously empty roof, the project will allow households across the five boroughs to offset their ConEdison bill with credits. Sign up today to reserve a spot and enjoy local, clean energy generated right here in NYC.